1 image. USS Princeton (flattop) (copy neg), 18 July, 1957. 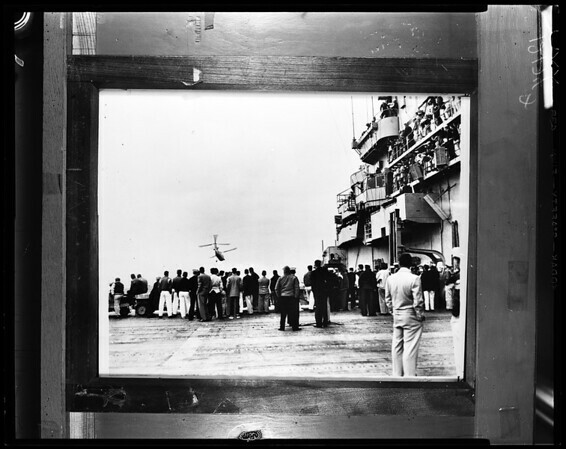 High school reporters watching helicopter above deck of USS Princeton.